Will is a second grader in Anne Arundel County schools, and already he’s on his third school since kindergarten; not because he moved, or his old schools closed, but because he has a disability that leads to behavioral problems. And the behavioral problems have led to suspensions. He was suspended six times from Jacobsville Elementary in Pasadena as a kindergartner. His mother, Lori Cornwell, says the school didn’t recognize his disability. Will has neurological issues stemming from a stroke he suffered while his mother was pregnant with him. They include ADHD, sensory processing issues, anxiety, some hearing loss, and cognitive difficulties. Cornwell says if there are too many people in a room or something happens he doesn’t understand, he could lose control. His first suspension occurred during a drill when the entire school was packed into the cafeteria. Will’s reactions can seem like a tantrum — screaming, hitting, or crying — or like he has a bug on him. Cornwell says she’s working to improve Will’s behavior but that the school system did not address the root cause of his problems. He was being punished “as a normal education child when he was indeed special needs,” Cornwell said. Nancy Henkelman, who was assistant principal at the time and managed the needs of kids with disabilities at Jacobsville, referred questions to county schools spokesman Bob Mosier, who said he can’t comment on specific cases. But Will isn’t alone. Students with disabilities make up about 12 percent of Anne Arundel’s school population, but account for a quarter of all suspensions. The child could be frustrated with a curriculum mismatched to his or her needs or could be struggling to make sense of everyday interactions. Plotkin says students with disabilities are twice as likely to be suspended because of bad behavior. Nicole Joseph chairs the Maryland Coalition to Reform School Discipline and is a lawyer with Disability Rights Maryland. She helped Will and his mother with their case. She says research shows that there’s a direct link between negative behaviors and unidentified learning disabilities or disabilities that are not being properly handled in the classroom. That’s because students who get suspended are often the ones who are already behind, she says. When they go home--if they go home--they’re often unsupervised. In fact, suspensions encourage misbehavior in part because “what might start out as a random misbehavior that any kid that’s young would engage in. . . when they get labeled as a trouble-maker and excluded it becomes a self-fulfilling prophecy,” she says. 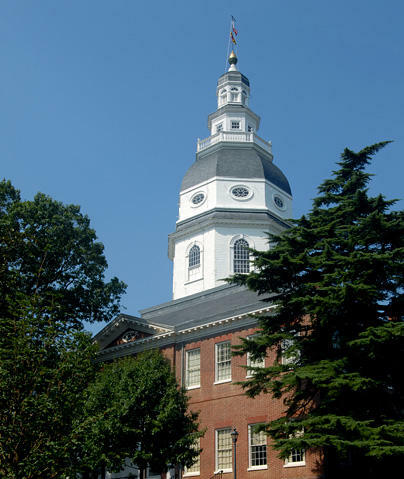 Those are among the reasons lawmakers in Annapolis passed a bill in the recent General Assembly session that forbids suspending or expelling pre–k to second graders, except in extreme cases. 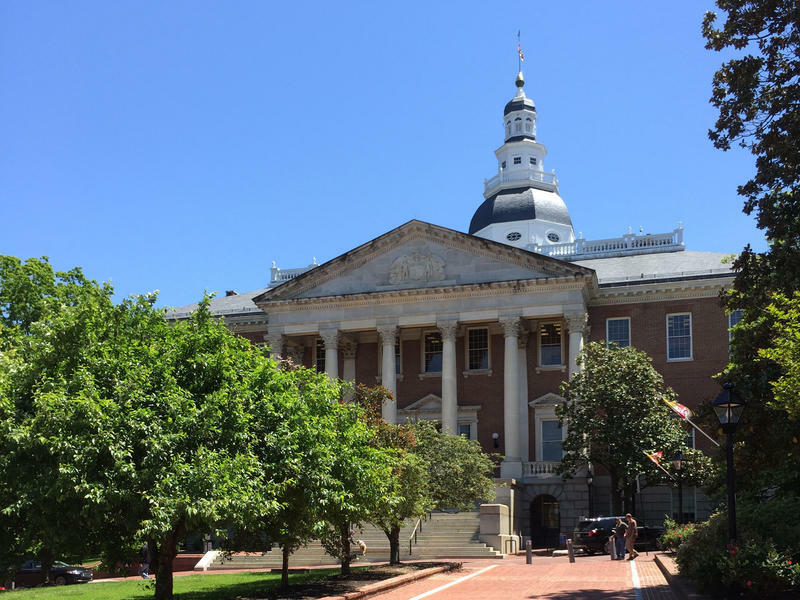 School officials in Anne Arundel were the only ones in the state to submit testimony opposing the bill. Mosier said they don’t believe in a one size fits all approach for their students. But Perry says the idea that suspensions create a better environment by removing the “bad apples” is a myth. She says excluding kids from schools is harmful not just to them but to their peers. Will, who already misses school for medical appointments, didn’t understand what his suspensions in kindergarten meant – his mother said he simply saw them as a “vacation” from school. The suspensions eventually led to him being put on “Crisis Home Teaching” meaning a teacher came to his home. But he and his mother waited for a teacher for a whole month before someone came. Cornwell, a single mom raising Will on a fixed income, has tote bags full of paper in her mother’s living room documenting Will’s short educational career. She pulled out a paper that indicated she was asked to come early to pick Will up. Joseph, the disability lawyer, says that type of “send home” is illegal. “A school calls the parent and said, ‘your child is misbehaving and they need to go home.’ And there is no formal documentation of a suspension; there is no paperwork,” she says. Those kinds of suspensions violate due process and the rights of children with disabilities to be educated, she said. And they could put at risk the jobs of parents with hourly positions. “So for students with disabilities their rights have been doubly violated because they also have a right to a free and appropriate public education under the IDEA [Individuals with Disabilities Education Act],” she said. That legislation intends to ensure all students are provided an equal public education tailored to their needs. And that’s where the high rate of suspensions for students with disabilities raises questions about the fairness of education that’s provided. Cornwell says the suspensions have detached Will from the school community. In Will’s case, those barriers led him to Glendale Elementary in Glen Burnie, where Cornwell says his behavior got worse and his reading level didn’t budge for all of first grade. Stanley Andrisse is an endocrinology post-doctoral fellow at Johns Hopkins University. He’s also a convicted felon.